Four senior academics in the fields of Architecture and Interior Design, Mark Burry, Peter Downton and Andra Mina representing RMIT and Michael Otswald the University of Newcastle, were awarded a prestigious multi-year ARC Discovery Grant to research the role of models in the Architectural design process. This ARC project undertook the first detailed investigation of the way in which architectural design is influenced by new, technologically mediated model-making techniques. The team of academics combined their resources to reconcile seemingly opposite approaches: slow, deliberate, handcrafted model-making with digitally controlled rapid prototyping. The relatively slow process of handcrafting a model allows the designer to reflect as they are making their model. In contrast, rapid prototyping – a potentially highly iterative procedure – accelerates the process of putting ideas into action possibly at the expense of critical reflection. This is not to say that the new affordable digitally-based tools have completely supplanted traditional model shops and methods. This project was significant because the relationship between craft traditions and digitally based tools needs to be explored further. Without sufficient scientific and artistic scrutiny handcrafted modelling might be presumed to be inefficient, and dropped in the same way that hand drafting has almost disappeared from architecture studios. The argument that hand drawing could not compete with computer aided drafting (CAD) is not applicable to the relationship between hand and digital modelling though. Careful reflection is necessary because there seems to be as much potential for loss as there is for gain as a result of this change. How do we know which approach to modelling, if any, is more effective in a design sense, regardless of efficiency? The outcomes of this research were presented via three methods. 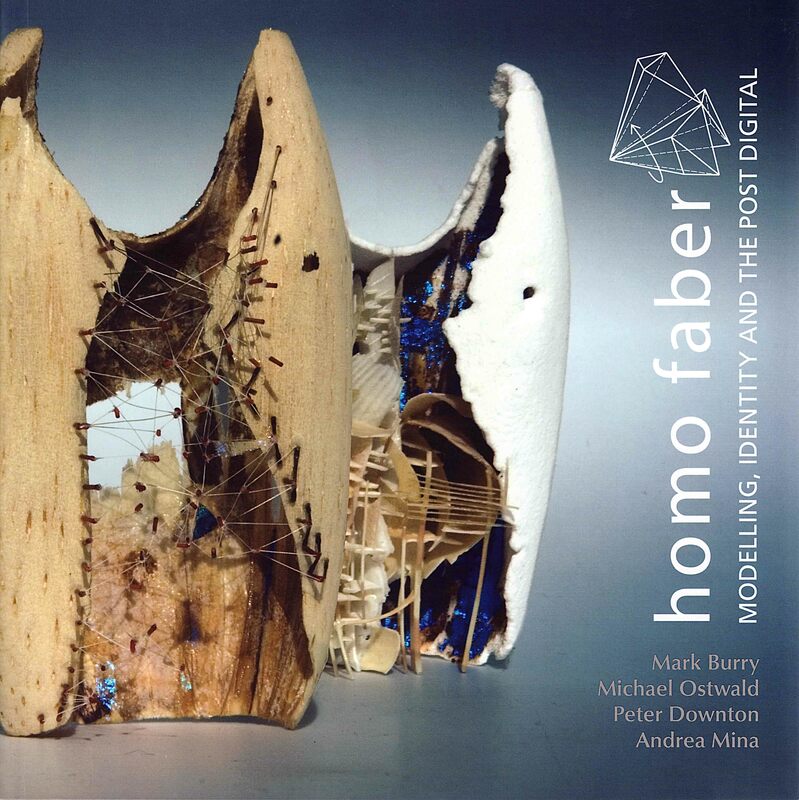 Firstly, a series of three exhibitions entitled Homo Faber, held each May at the Melbourne Museum. These exhibitions showcased the models produced by the four chief investigators during their research. Complementing this work were submissions from approximately thirty architects located around Australia detailing the role of model making in their designs. More specifically, they detailed an identifiable moment within the modelling process at which an architectural construct appeared that changed the course of the project and/or the architect’s career. Secondly, 3 books highlighting each year of modelling research, combined with academic and practitioner essays were published through Archadia Press. Additionally, a symposium ran in conjunction with the opening of the initial exhibition providing an opportunity for peer review and feedback. This symposium allowed the primary model makers, selected architects, and the invited keynote speaker to discuss the role of the design model in architecture today. The outcomes formed the basis for the next year’s exhibition and became an integral part of the research. The knowledge produced by this research established paths for future design practice with concomitant changes to design education.